Traditional cabin nestled on a wooded hillside at the west end of town just eight miles from the best snow in Idaho at Brundage Mtn. Resort and less than two miles to the Bear Basin, Nordic trailhead. 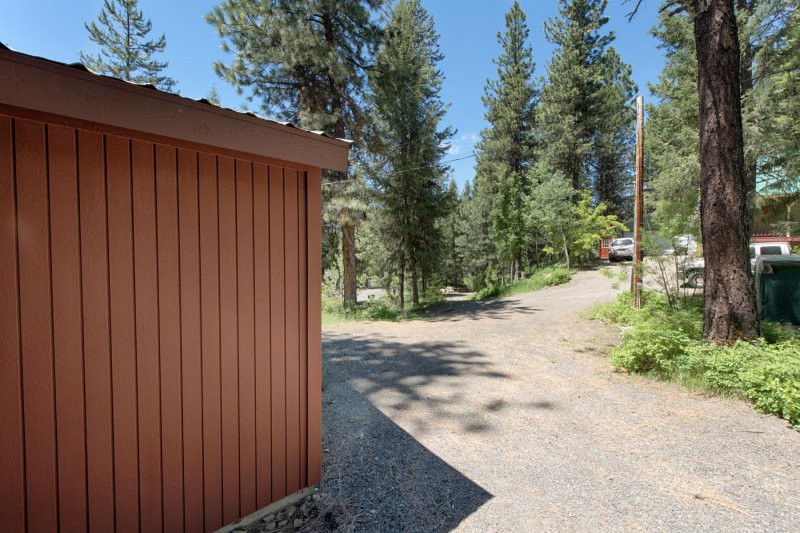 Payette Lake access and downtown McCall is within a five minutes drive. 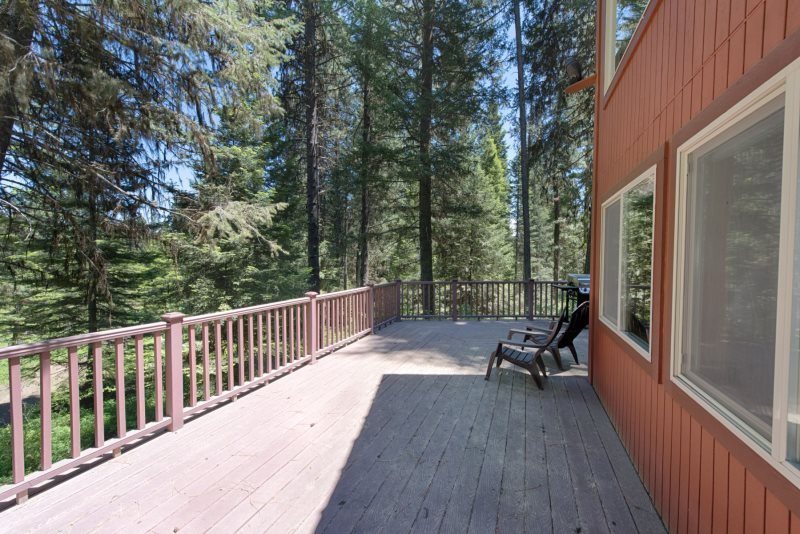 Relax on the north facing deck and breathe in the fragrance of the forest. 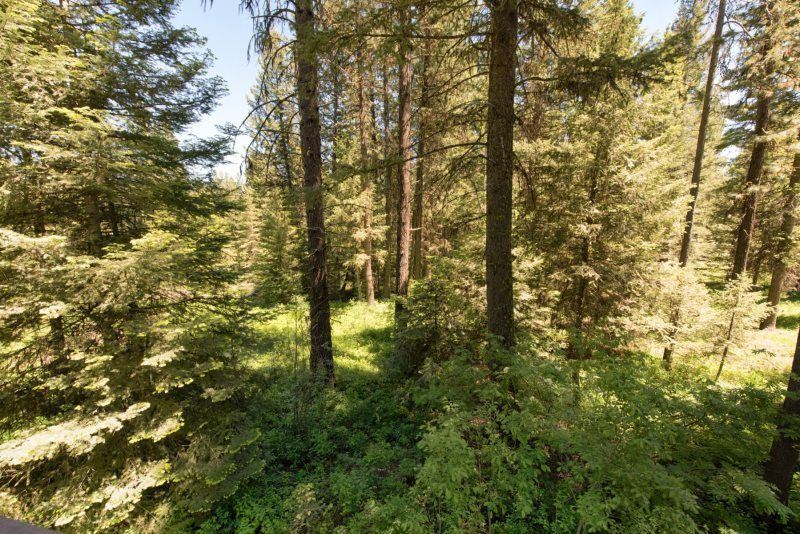 You’ll witness an abundance of wildlife from your private, tree top perch with an unobstructed view right down to the forest floor. Updated perks including a spacious kitchen with granite countertops and stainless appliances, Internet and satellite tv. There is dining room access to the large deck and covered promenade where you’ll find a gas grill, outdoor furnishings and enough deck space for everyone to mingle or find a private spot to settle in for a good read in a natural, wooded setting. Large enough to accommodate 6 or 7 Lumberjacks in two private rooms with queen beds, a sleeping loft that has a Full bed, a twin bed (with slide out twin trundle) and two, full size bathrooms. A large great room (with Queen hide-a-bed) and comfy seating for everyone to enjoy the view – an expanse of evergreens – with a wood burning stove to warm you on chilly alpine mornings and during the winter months. This home is perched on a hillside off of a quiet, unimproved dirt road. We recommend four-wheel or all wheel drive during the winter months. 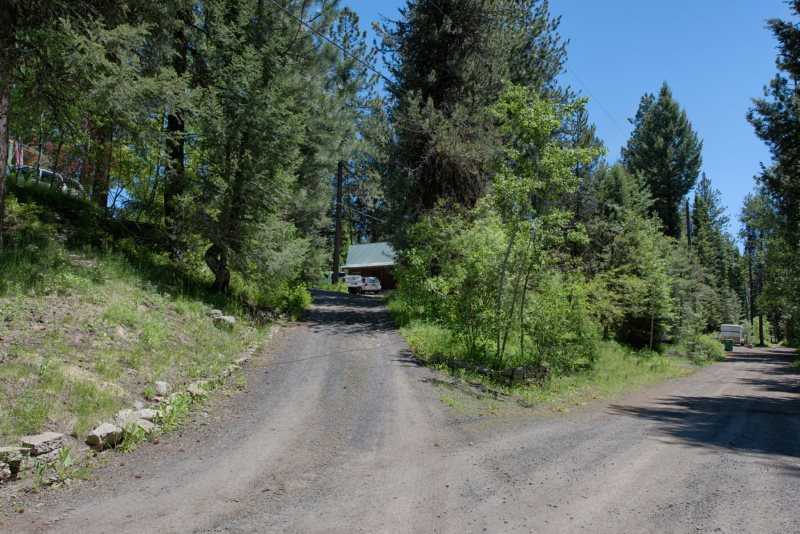 Please note that the driveway of this cabin is not suitable for parking a snowmobile or boat trailer. There is road level "pullout" for parking a trailer which is on a first come first served basis.